Minister's wife, caterer, and part-time sleuth Faith Fairchild pairs up with Sophie Maxwell, last seen in Body in the Birches and now a newlywed living in historic Savannah, Georgia, where Sophie crosses paths with murder. Another delightful entry in the beloved mystery series, complete with delectable recipes. Sophie Maxwell never expected to fall in love, but she did. She never expected to relocate from New England, but she has. Now she's living in Savannah, Georgia with the love of her life and acclimating to her new life and environment. Sophie's marriage takes a hit and she's left in Savannah to fend for herself while her new husband takes a job in Atlanta. If being alone in a city isn't bad enough, Sophie finds a body but no one believes her except for her friend Faith Fairchild. 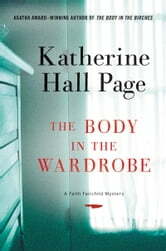 The Body in the Wardrobe by Katherine Hall Page is the newest addition to the Faith Fairchild mystery series. Sophie Maxwell has started a new life as a newlywed in a new city and state. She loves being married and loves her new hometown, Savannah. Unfortunately for Sophie, all is not rosy in the new South. Her sister-in-law talked Sophie into donning a family heirloom for an informal party in honor of the newlyweds as a cruel prank. Sophie's husband Will was outraged by Sophie's audacity to wear this dress and the first cracks in their marriage appear. This is quickly followed by the re-emergence of Will's former girlfriend as their preferred realtor and then Will leaves Savannah (and Sophie) for a job in Atlanta. Adding insult to injury, Sophie discovers a dead body in a wardrobe in their temporary home. Sadly, the body disappears when the police arrive and this makes Sophie appear to be another crazy antic of a displaced Yankee. Fortunately, Sophie can always rely on her friend Faith Fairchild as a sounding board and for support. Meanwhile, Faith is dealing with her own family problems. Namely, her husband's contemplating relocating the family, her teenage daughter is dealing with school bullying in the form of mean girls, and she's worried about several of her neighbors. Will Sophie and Faith be able to solve the mystery of the body in the wardrobe? Can Sophie successfully resolve the burgeoning problems in her marriage? Will Faith's family be uprooted by her husband's desire to relocate? 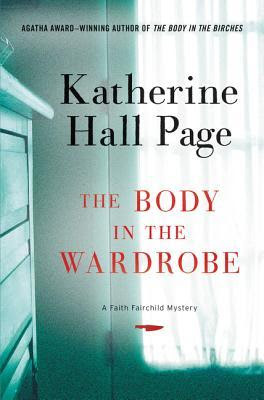 The Body in the Wardrobe is the first Faith Fairchild mystery that I've read by Ms. Page. Although this is the twenty-third book in this series, it didn't feel as if I was coming into the series in the middle. I found The Body in the Wardrobe to be a rather quick read. The story is told in alternating voices of Faith and Sophie with some obvious crossover. I liked Sophie, her husband Will, her mother Babs, as well as Faith, her husband Tom, and her children. I rather enjoyed the alternating storylines but was drawn to Sophie's story more so than Faith's for some reason. The Body in the Wardrobe provides hints of romance, tons of family drama, a bit of jealousy, a few family secrets, teenage angst, bullying (teen and adult mean girls), murder, intrigue, and mischief; a little bit of everything in one nice package. I enjoyed reading The Body in the Wardrobe so much that I'll be going back to read the entire Faith Fairchild mystery series. If you're looking for a quick and engrossing mystery, look no further, The Body in the Wardrobe just might be the book you seek! I totally agree with you. I loved this book and I really enjoyed Sophie's story but faith has her own special touches too. I reviewed all of her books. The recipes are an added bonus.